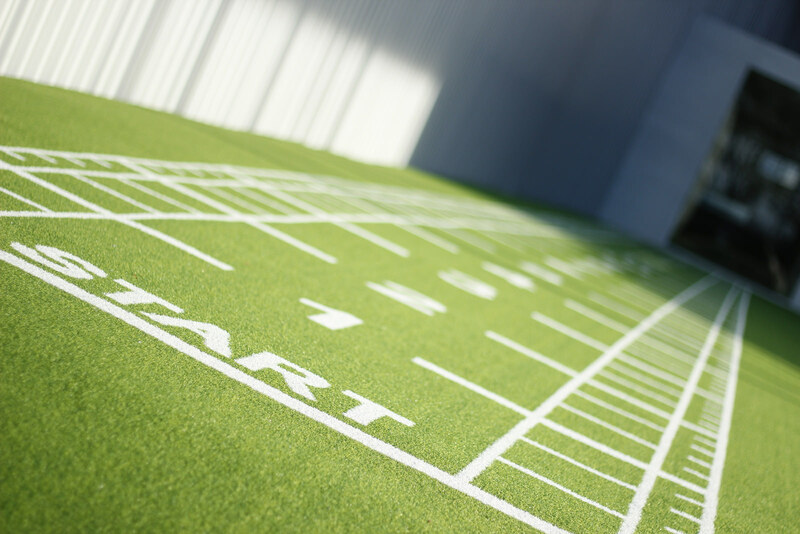 There are many turf options on the market. 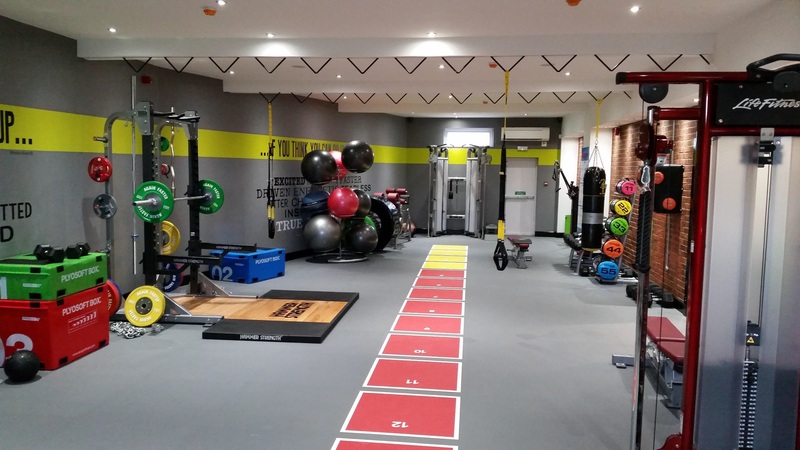 As with most flooring products the quality can vary considerably. 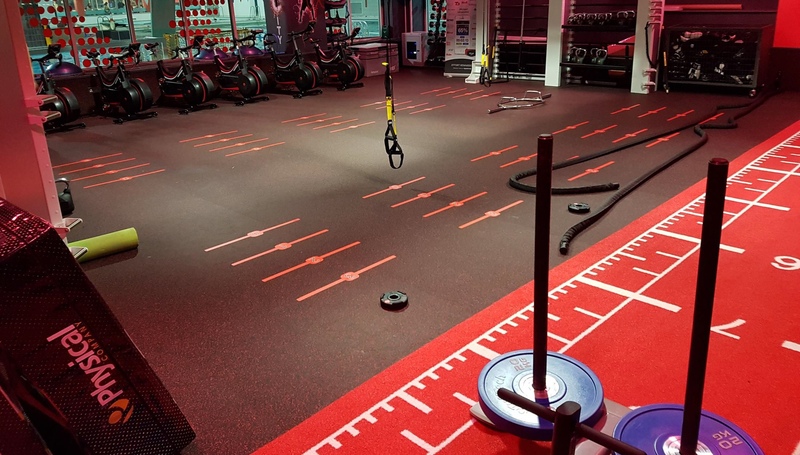 With the constant use of weighted sleds, sprints and SAQ training drills we know that the tracks we supply must be manufactured to withstand the toughest environments and still perform. 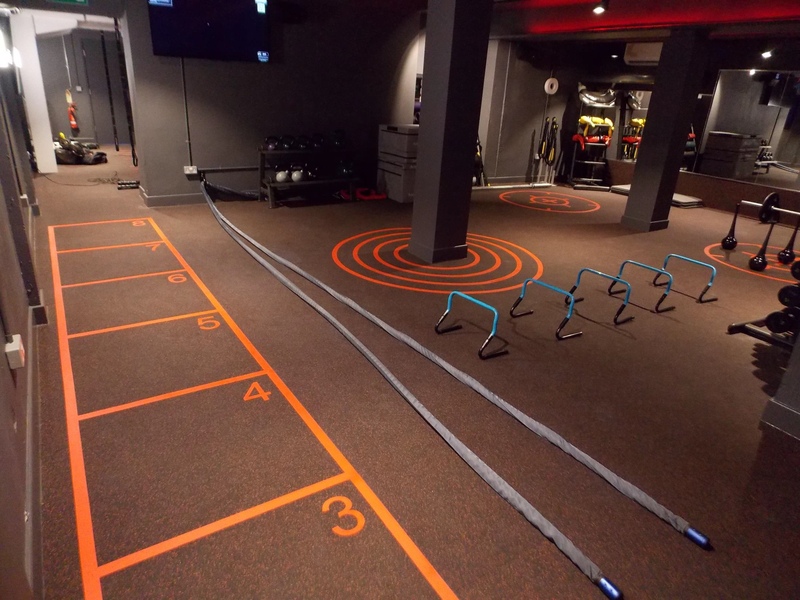 The markings on our sprint tracks are interwoven fibres – they won’t wear out, and you can choose from a wide range of colours. We can incorporate your logo thanks to our unique tufting technology. 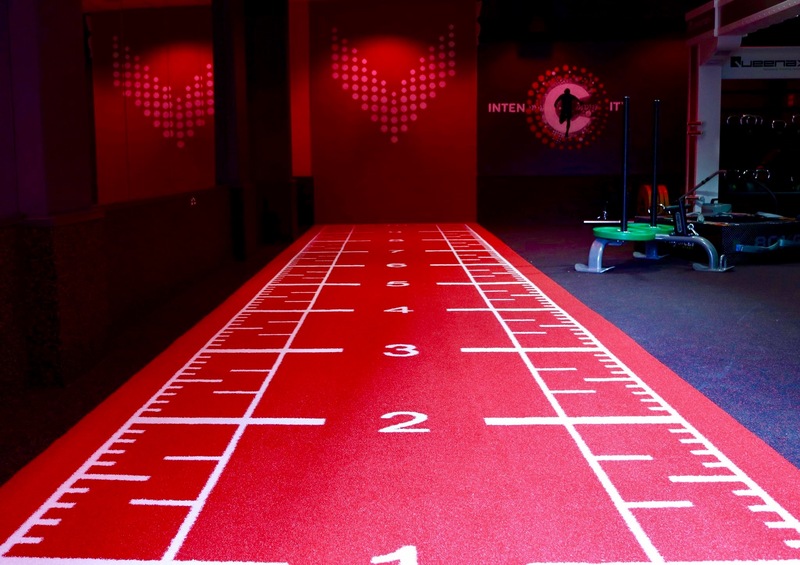 Unlike most sprint tracks, ours has a high quality foam backing. 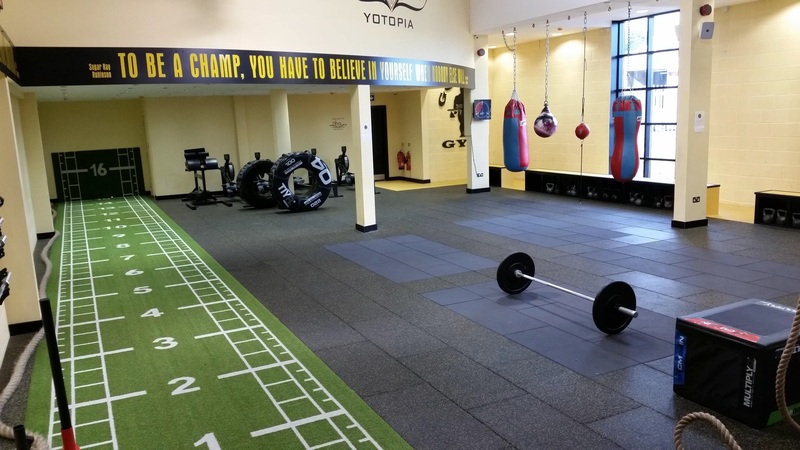 This maximises comfort and is perfect for sprints, walking or general training drills.